Est. 670 bhp, 5,996 cc SOHC 24-valve, water-cooled, naturally aspirated, aluminum, 60-degree V-12 engine with Bosch fuel injection and Motec engine management, five-speed straight-cut TWR transmission, front independent double-wishbone, pushrod-actuated suspension with horizontally mounted Koni shock absorbers with coil springs, rear independent double-wishbone suspension with Bilstein shock absorbers and coil springs, and four-wheel AP Racing four-pot calipers with 13-inch cast-iron disc brakes. Wheelbase: 106.7 in. In the early 1980s, two of Jaguars most successful privateers had plans to bring the once competitive marque back to the forefront of international racing. 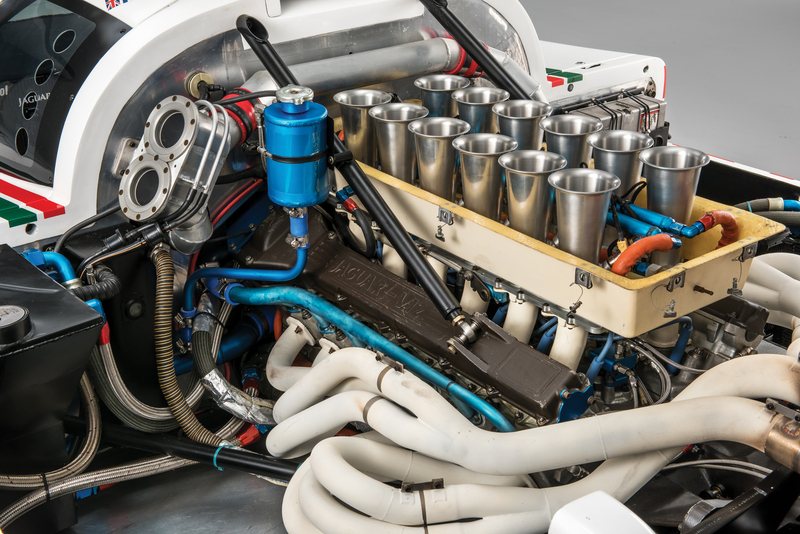 Bob Tullis’ Group 44 team, based in Virginia, in the United States., and Tom Walkinshaw’s TWR (Tom Walkinshaw Racing), based in the United Kingdom, had extensive experience with the latest version of Jaguar’s V-12 engine. Both felt it could be a strong competitor in the newly formed Group C World Championship. Group 44 would focus on the IMSA GTP Championship, while TWR concentrated on Group C. Once again, Jaguar was aiming to win Le Mans. With Group 44’s Fabcar-designed, mid-engined XJR-5 ready in late 1982, they had a clear head start over TWR. Throughout the season, the XJR-5 raced with considerable success, which was highlighted by a class win at Road Atlanta. 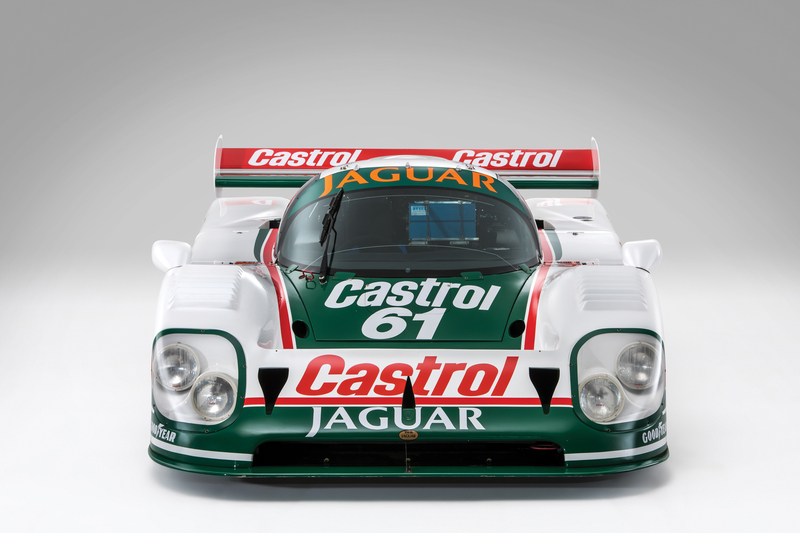 Jaguar also raced at Le Mans in 1984 and 1985, scoring a fantastic class victory in its second attempt. Unfortunately, this car stood little chance of overall victory at Le Mans, so Jaguar focused on developing its relationship and success with TWR. The decision was made by the factory to return to the World Championship as a full Works team that was supported by TWR, similar to Audi and Joest today. TWR’s first full season in Group C was in 1986. With an overall victory at the 1000 KM of Silverstone in May, the team was feeling confident heading to Le Mans the following month. Unfortunately, 1986 would prove to be a difficult year for the “Big Cats” at Le Mans, as none of the three cars entered would finish. Over the winter, TWR worked tirelessly to create the new XJR-8 (the Group 44 team’s latest IMSA GTP racer was designated the XJR-7). It would prove to be the key for TWR, which dominated the 1987 World Championship, claiming eight outright victories over 10 events. Again, TWR entered three cars at Le Mans, but once again it was not to be Jaguar’s year. Porsche continued their dominance of Circuit de la Sarthe with their fifth consecutive overall victory. Jaguar’s recognition of the importance of its presence in the United States resulted in the decision to run a Works team in IMSA and commission the brand-new XJR-9 in the GTP class for 1988. Jaguar dominated the World Championship once again, as well as incredibly claiming the overall victory at the 24 Hours of Daytona at their first attempt. With more cars available, Jaguar was finally in a position to rival the Porsches, as they entered five cars at Le Mans. Jaguar managed to secure outright wins at the 1988 running, with drivers Johnny Dumfries, Jan Lammers, and Andy Wallace. 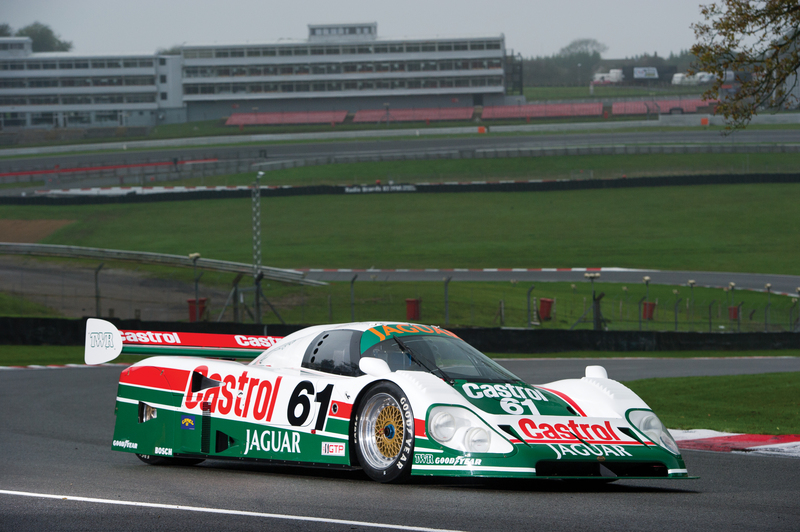 The rest of the season proved just as successful for Jaguar, as they claimed victory at the two most prestigious 24-hour endurance events, and ultimately the Group C World Championship, with their new XJR-9. 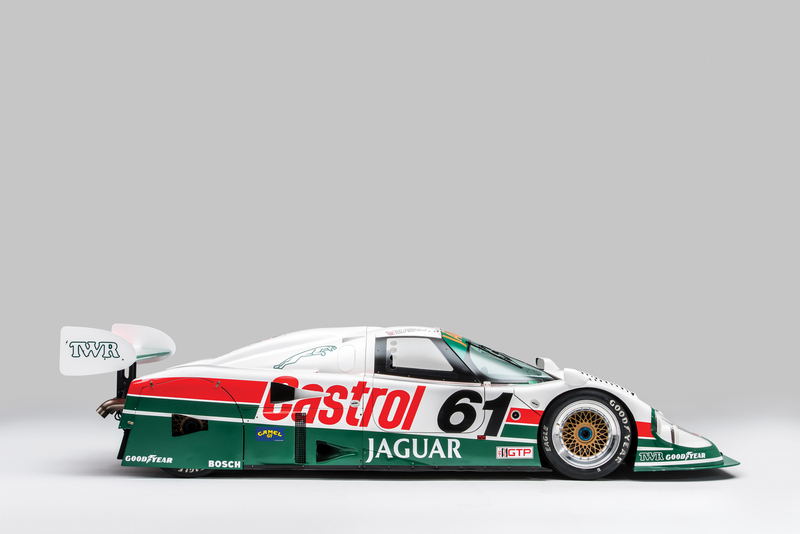 After having used the same basic chassis design for the past three seasons, TWR designed two brand-new turbocharged V-6 cars for 1989, the XJR-10 and XJR-11 for the IMSA and Group C Championships, respectively. Neither car proved a worthy successor to the XJR-9, so the team decided to compete with a mixture of both the latest cars, while an updated XJR-9, which was now dubbed the XJR-12, was used solely for the long-distance events at Daytona and Sebring. Construction of the carbon fiber and Kevlar monocoque for TWR-J12C-388 began in mid-July of 1987 at Advance Composite Technology in Derbyshire, United Kingdom. The complete car was finished in October of the same year. The first three XJR-9s, chassis 188 (converted from an earlier chassis and renumbered), 288, and this car, 388, were then sent out for special testing that had been organized by Jaguar at Big Spring in Texas. This car completed over 400 miles of testing while TWR hunted for the perfect setup. The next outing for chassis 388 was at Talladega in January 1988, in preparation for the grueling 24-hour meeting at Daytona later that month. Daytona, the first IMSA GTP event of the season, was held from January 30th to the 31st. This Jaguar was entered as #61, with drivers Jan Lammers, Danny Sullivan, and Davy Jones behind the wheel. After a fantastic qualifying session, they were lined up on the front row of the grid. Unfortunately for 388, the race did not go as planned, and the car was ultimately classified in the 26th position, although its sister car won the race at the model’s debut. In February, 388 raced in the three-hour sprint race on the streets of Miami. After qualifying 7th, it managed to finish 6th overall. The following month, the IMSA circus arrived at Sebring for the 12-hour endurance race. This time, chassis 388 was driven by Lammers, Jones, Danny Sullivan, and John Neilson, and after an eventful race, the Jaguar came home in 7th place. On April 10, Road Atlanta held its annual 500-kilometer race, where this Jaguar was by Davy Jones and Andy Wallace. The car qualified strongly in 3rd position and was destined to finish in that place. That is until, 15 laps from the end, Davy Jones spun the car and lost a position to the Porsche 962 of Chip Robinson and Derek Bell. Despite the bad luck, it appeared that things were picking up for the team. The next three events were held at West Palm Beach, Florida; Lime Rock in Connecticut; and Mid-Ohio. Chassis 388, driven by Lammers and Jones, finished on the podium at all three events, often joined by its sister car, chassis 288. After a DNF at Watkins Glen in July, the team headed to Road America in hopes of returning to the podium. The car qualified in 4th, but after a ferocious no-holds-barred battle with the Nissan GTP ZX Turbo of Geoff Brabham, the Jaguar finished in 5th place, just behind its sister, which was driven by Brundle and Nielson. Round 10 saw the championship head to Portland for the 300-kilometer Camel Grand Prix. The Jaguars qualified well, and chassis 388 started 5th place on the grid. Unfortunately, Lammers selected a wrong gear at the start, and a poor getaway meant that the #61 car quickly dropped to 15th place. However, the Jaguar clawed its way through the field to finish a respectable 4th overall. Two weeks later, at the 300-kilometer Sears Point Camel Grand Prix, a fantastic qualifying session by both the Jaguars saw them lining up 2nd and 3rd on the grid. Lammers, in this car, followed Brundle for the first stint and then again after the pit stops. Jones followed Nielson home to a fine 3rd place finish. The final race of the year for chassis 388 was at Sears Point in September. Davy Jones was tasked with qualifying the car, but an accident would sideline them before the race. Rather than repairing the car at the circuit, the team decided to use the spare car and sent chassis 388 back to TWR in preparation of the 1989 season. As with previous years, the infamous SunBank 24 at Daytona opened the 1989 IMSA Championship season. Once again leading the grid after a tight-knit qualifying session was the Nissan of Geoff Brabham. Joining him on the front row was Jaguar chassis 288, of Lammers, Jones, and Boesel, which was in 2nd place, and the second Electramotive Nissan, which was in 3rd. Chassis 388 started 7th on the grid, one place in front of its sister car, chassis 188. The opening lap saw mixed fortunes, as chassis 188 made contact with the second Nissan and both cars were forced to retire. 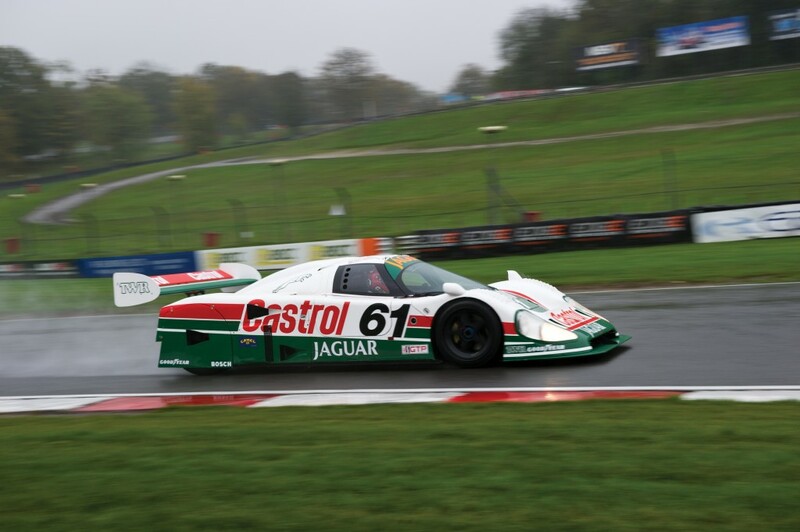 In the early hours of the morning, thick fog urged the organizers to impose a red flag period for over three hours, leaving this Jaguar holding the hopes of the TWR Castrol team in its hands. After the restart, it became a three-horse race between the struggling Nissan, chassis number 388, and the frighteningly fast Miller Porsche. The Nissan would retire after dropping a valve, leaving the sole remaining Jaguar to take the lead. However, continuously rising engine temperatures forced an unplanned pit stop, allowing the Porsche past. This car would finish an outstanding 2nd overall after the exhausting struggle. 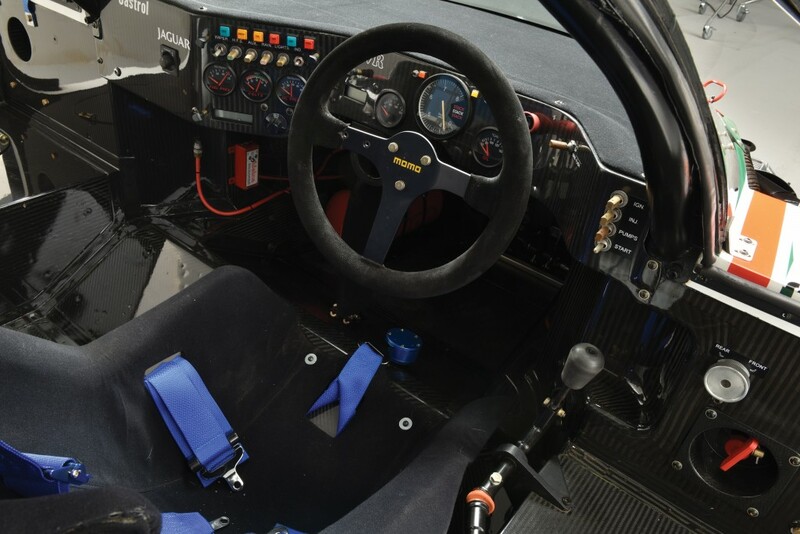 For the first seven rounds of the 1989 IMSA Championship, chassis number 388 finished on the podium, with six of those races ending in 2nd place finishes. It wasn’t until the eighth round, held at the Watkins Glen circuit, that chassis number 388 suffered an engine failure, which resulted in its first retirement of the season. However, after only two weeks, Davy Jones navigated this car to the pole position, just ahead of the sister Jaguar XJR-10. The Nissan was the stronger car and eventually came out on top, while the XJR-10 would finish 2nd, with chassis 388 rounding out the podium. 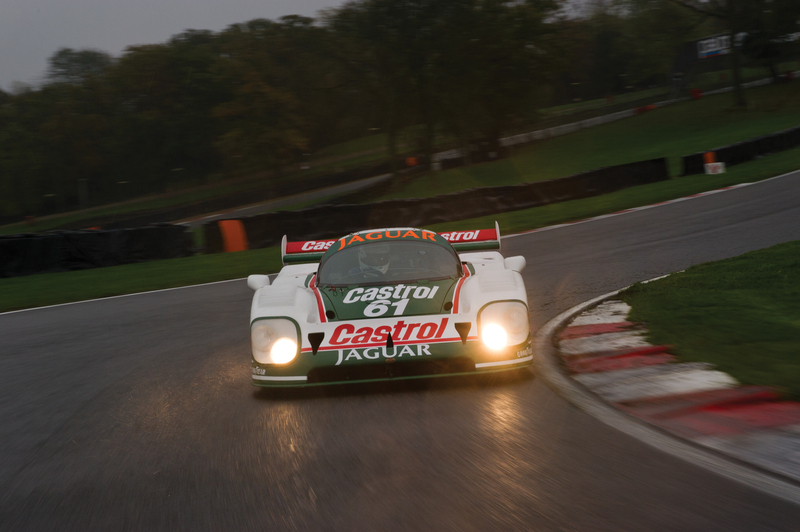 It was yet another successful and impressive weekend for the Castrol Jaguar team. The Portland Grand Prix was held on July 30, and this car again qualified strongly in 3rd position, with the XJR-10 on the pole. Unfortunately, chassis number 388 suffered an early spin and dropped down the order. A brisk recovery resulted in another successful weekend for Jaguar, ending with a win and this car finishing in 4th position. In August, the IMSA Championship headed to Heartland Park for the inaugural 300-kilometer race. Chassis 388 qualified strongly in 2nd place, bookended by the usual Nissan powerhouses. Unfortunately, the race did not suite the non-turbo V-12, and the car came home with a 5th place finish. In September, this Jaguar entered the two-hour Camel Grand Prix of San Antonio. Another great qualifying resulted in the car placing 4th on the grid; however, on lap 29, Michel Ferte lost control and hit the barrier. The car was retired, and the decision was made to send it back to TWR for repairs and to be upgraded to XJR-12 specifications for the upcoming race at Daytona in 1990. 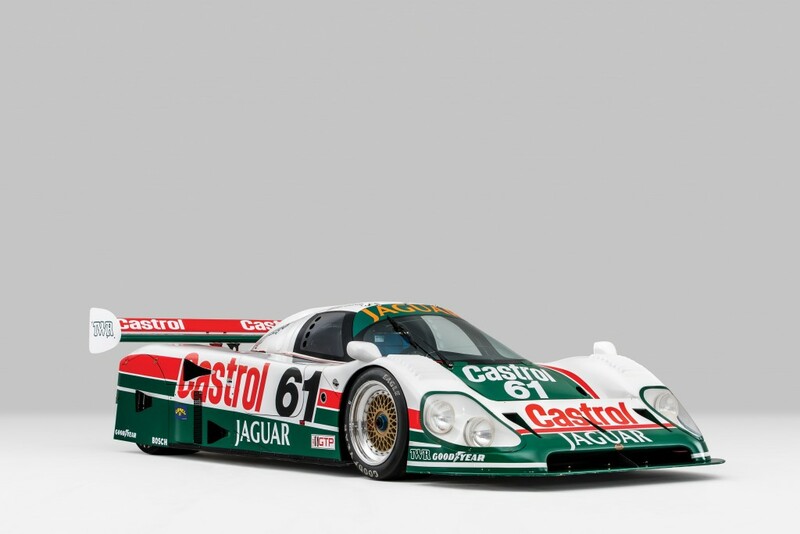 Jaguar entered two cars at Daytona in 1990, with Davy Jones, Jan Lammers, and Andy Wallace driving chassis number 388. Both Jaguars were out-gunned in qualifying and only managed 9th and 10th at the start. This led many to think that the “Big Cats” would not feature much in the race, but Tom Walkinshaw was not concerned. As the night rolled in, the cars at the front of the pack continued to encounter more and more problems. 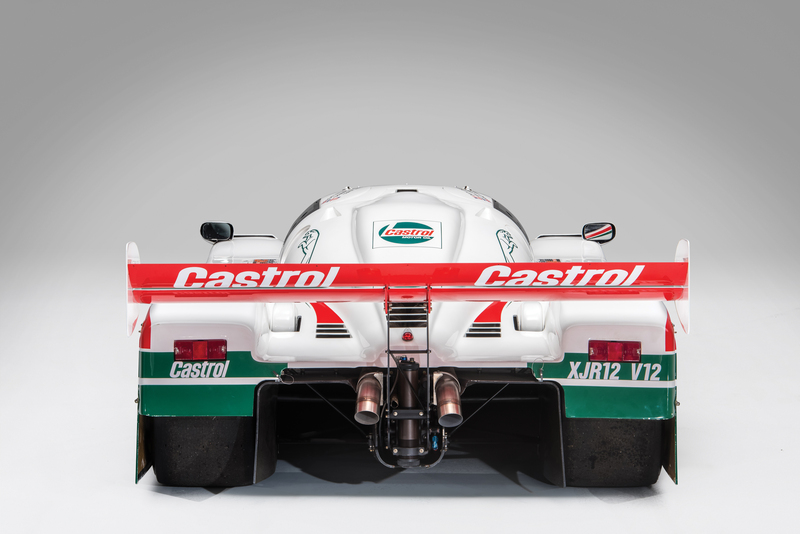 As dawn rose, the two Castrol Jaguars were running well clear of the 3rd place Porsche by an astounding 16 laps. However, the rising sun also led to rising temperatures, and both Jaguars began to overheat. The team decided to pit the cars and flush the radiators, handing time to the hungry Bayside Porsche. After a tense last few hours, relief came when Jan Lammers brought chassis 388 across the line first, to win IMSA’s greatest race. Chassis number 288 would finish just behind its sister car, for an extraordinary 1-2 Jaguar finish. After much celebration, chassis number 388 returned to the track in March for the 12 Hours of Sebring. Another difficult qualifying session resulted in chassis 388 finishing 12th on the grid, but after another contentious race, this car had scythed though the field to come home on the podium once more, this time in 3rd place, rounding off its hugely impressive racing career in true Jaguar fashion. ← Previous Post: What Car Got You Started?